How To Implement Babywise In Older Kids. 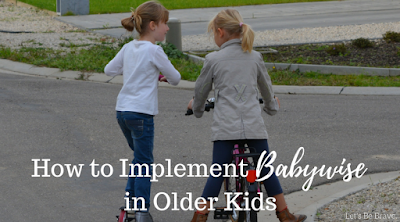 How to start Babywise with older children. Tips if you are fostering, adopting, or just starting late. 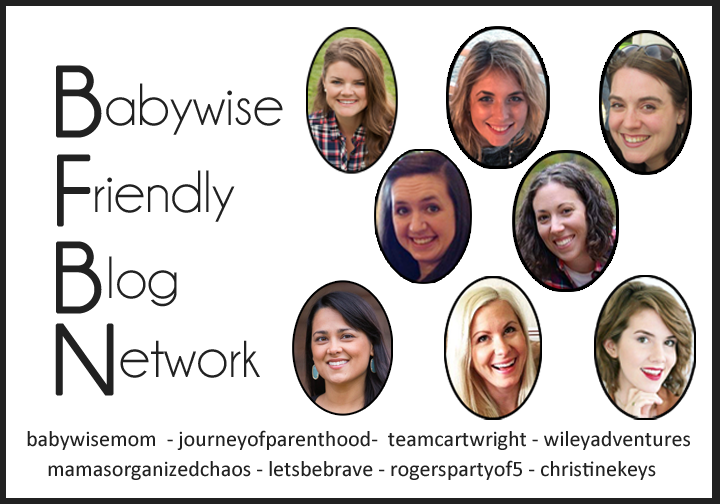 While I’m a big fan of babywise, for the most part I’ve had to implement it’s principles on much older children. Five of the seven kids we fostered over the past few years were not infants. These kids come from homes with no structure, routine, or stability. Children typically thrive in routine so when they come to us, that’s what we try to give them. We like to be predictable for kids that have hardly had a predictable moment to create a sense of security. When we first get a placement, we pretty much hunker down for the first month or so. Every single day looks basically the same – get up, get ready, eat breakfast, go to school, come home, nap, play, dinner, read, bed – or something along those lines. We try not to stray from this routine for a bit so that life is extremely predictable for them in order to ease anxiety and create a sense of felt safety. If the routine is going to change – for example, a doctor’s appointment or even a play date – then we talk about for a few days beforehand and prepare them for the change in routine. A key to getting a child on a good schedule is wake up time. When you wake up at the same time each morning your body naturally gets accustomed to waking up at that time and it becomes routine – which is the goal. A set wake up time is the cornerstone of your day. You can plan the rest of your day because you know exactly when everyone will be up and at ’em. Plus, this provides a basis for the rest of your routine. If a child is waking up earlier than your set wake up time, don’t let them start their day on their own and watch cartoons or run around the house. We have our kids stay in bed until it’s time to get up. Some people allow their children to get out of bed and play quietly when they wake up. Either option is fine depending on the age of the child and what kind of boundaries your child needs. If you have a foster child it is likely they may have not had a set bedtime. Sleep is so important for a child’s brain development. How much sleep is needed per night depends on the child’s age, but I think it’s safe to say that most kids need 10-12 hours of sleep per night. So set bedtime to be 10-12 hours after the child’s wake time. Along with a bedtime should come a consistent bedtime routine. This will help your child wind down for the night and get mentally and physically prepared for bedtime. Some bedtime routines include bath time, reading, and singing, which are all good wind down activities. Having set mealtimes is important for a few reasons. First, it breaks up the day and gives a child at least three different reference points for how the day is progressing. Children don’t usually process a day in terms of time; they use events, such as waking up, going to bed, going to school and breakfast, lunch, and dinner. So for a child who hasn’t had much of a routine, mealtimes provide a lot of structure because they happen multiple times in a day. Another reason mealtimes are so important is to create felt safety. If a child consistently eats at the same time each day, he will come to expect to be fed and not wonder when his next meal is. This can be a big trigger for some foster kids who weren’t consistently fed or had to go without food for several days at a time. Having a set mealtime provides felt safety in this area. Instead of letting the child play freely all the time, try to incorporate some structured playtime. You can do this by implementing independent playtime/room time, bringing a bin of specific toys in the living room for the child to play with, and doing activities or games with the child. Structured play is another way to contribute to the routine of your day. I think pre-school programs and other social activities such as extracurricular activities and playdates are so good for kids, especially those who have not had a lot of exposure in those areas. School can provide some much-needed structure and social interaction for children who haven’t had that before. 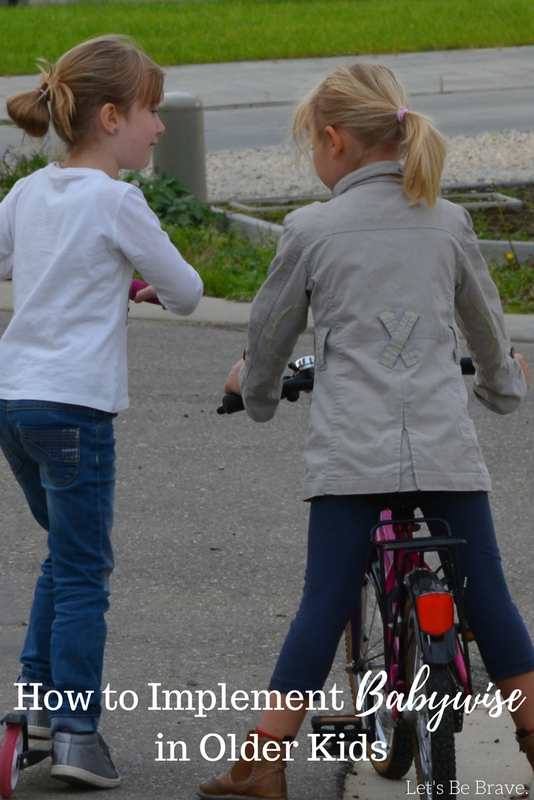 Extracurriculars and playdates are good opportunities for children to be taught social niceties. Adding these things into your routine after you’ve got the basics down can be very beneficial. Just be sure to give children a heads up before adding something like this in, especially if it’s not an everyday thing. Once you’ve got the basics down, then you can start adding other things in and being more open with your days. Remember to make the schedule work for you, not the other way around. The schedule is there to help you and to help your kids. 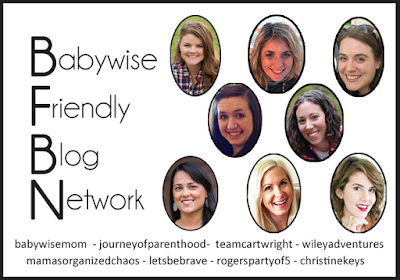 If you have older kids and have decided to implement Babywise, it’s not too late! Start with these basics and soon enough you’ll have yourself a schedule. Natasha is a work-at-home lawyer and mama to 4 kids acquired through adoption and IVF – Laurel (7), Bennett (5), Christopher (2), and Everly (8 months). She blogs at Let’s Be Brave.